In the September issue of OBM Arthur Pentney had a letter published titled ‘Intimidated by modern traffic’ in which he gave some inaccurate details about the Banbury Run. As clerk of the course, and therefore the person responsible for the Banbury Run routes, I would like to put the record straight. Arthur stated that a few years ago there was a regular entry of 600. This is true and started on the 60th anniversary of the event; it was originally planned to have been for one year only. 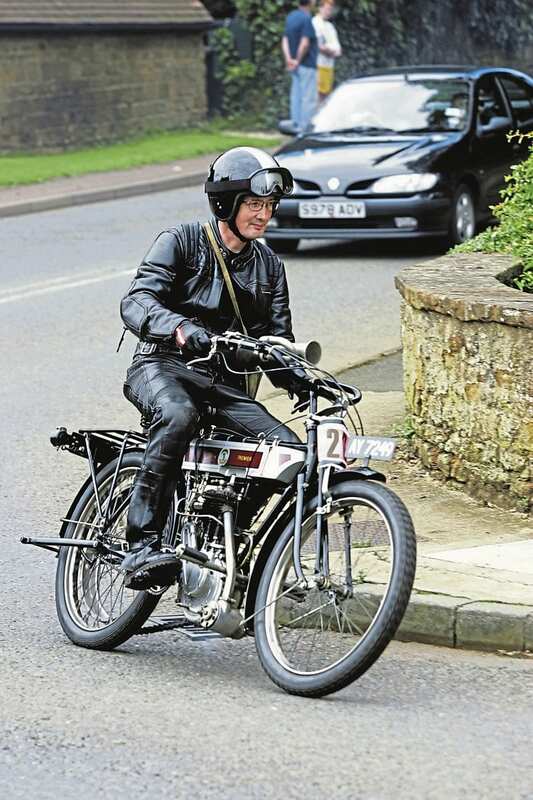 When I took over as clerk of the course a few years later the entry list was still at 600 but this caused all sorts of logistical problems and, in addition, we were starting to get complaints about the amount of motorcycles going through the local villages. Why does the route go through Banbury? The Banbury Run began in 1949 as the ‘Birmingham-Banbury Reliability Run’. Around 80 riders set off from the Wagon & Horses in Sheldon, Birmingham, and followed a 42-mile route through Warwick, Wellesbourne and Kineton to finish in Banbury. In 1950 the route ran the opposite way round – starting at the Crown Hotel in Banbury, travelling through Shutford, Kineton, Harbury, Knowle and Solihull, before finishing at the BSA Sports Ground in Small Heath. From 1951 the Run became a circular route, starting and finishing in Banbury, and the number of entrants doubled to around 160. The event continued to grow and, by the time the Run relocated to Honeybourne Aerodrome, near Broadway, Worcestershire in 1958, more than 300 riders were taking part. 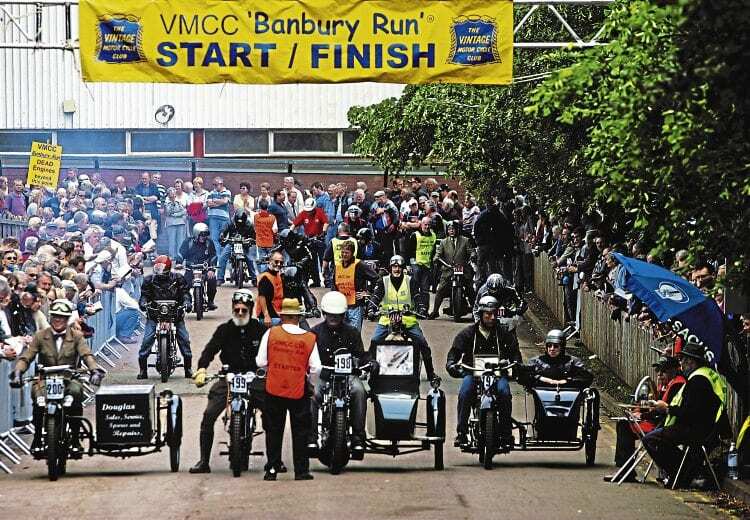 It wasn’t until 1964 that the Run returned to Banbury, based at a number of different sites including the Castle Gardens car park and Automotive Products on Southam Road. AP closed in 1985, so the event was run from Banbury Cattle Market in 1986 and Blenheim Palace in 1987 before moving to Drayton School, Banbury in 1988, where it remained until building work at the school necessitated a move to Towcester Racecourse in 1996. The Run returned to Drayton School in 2000 before moving to its present home at the Heritage Motor Centre, Gaydon in time for its Diamond Jubilee in 2008. Although no longer based in Banbury, it is still the Banbury Run and the Mayor of Banbury comes along every year to flag the bikes off. There is also a cup given by the town of Banbury that the Mayor presents at the prize giving, so it would be a huge omission not to take the run through Banbury. Yes, Banbury is congested but it is the only part of the route that is. I have two Banbury eligible machines that I have ridden all over the UK and the continent; I have also ridden the VJMC’s Dreadnought in two Pioneer runs, so feel qualified to know what is safe and what is not. The day that I feel going through Banbury is unsafe I will leave it off the route, assuming when that day comes I am still clerk of the course. Unfortunately, due to circumstances beyond our control, there will be a price rise for 2019, although having said that there are going to be some changes for the better in 2019 too. Because it is felt by some riders of later veteran machines that 15 miles per hour is too slow, we are going to introduce a two-tier system for the A route, and riders will be able to choose between 15 and 18 miles per hour. We hope that this will encourage more veterans to enter, and as the A route does not go through Banbury or up Sunrising Hill, there is no excuse for not having a go on an early machine! We are going to attempt to have a social run on the Saturday, but this will depend on the results of a survey of members. We have also been assured by The British Motor Museum that the extra car parks currently under construction will be finished, which means no shuttle bus as all spectator parking will be on site. Entry forms will be available to download from the VMCC website on January 4, 2019. Harry Wiles, Clerk of the Course.